The Spokane School District and city of Spokane worked together in developing their respective bond issues on the November ballot. Doug Nadvornick talks with Spokane city library director Andrew Chanse about the $77 million library bond issue and with Superintendent Shelley Redinger and Associate Superintendent Mark Anderson about the $495 million school bond issue. In November, the city of Spokane and Spokane School District are asking voters for a combined $572 million through two bond issues. 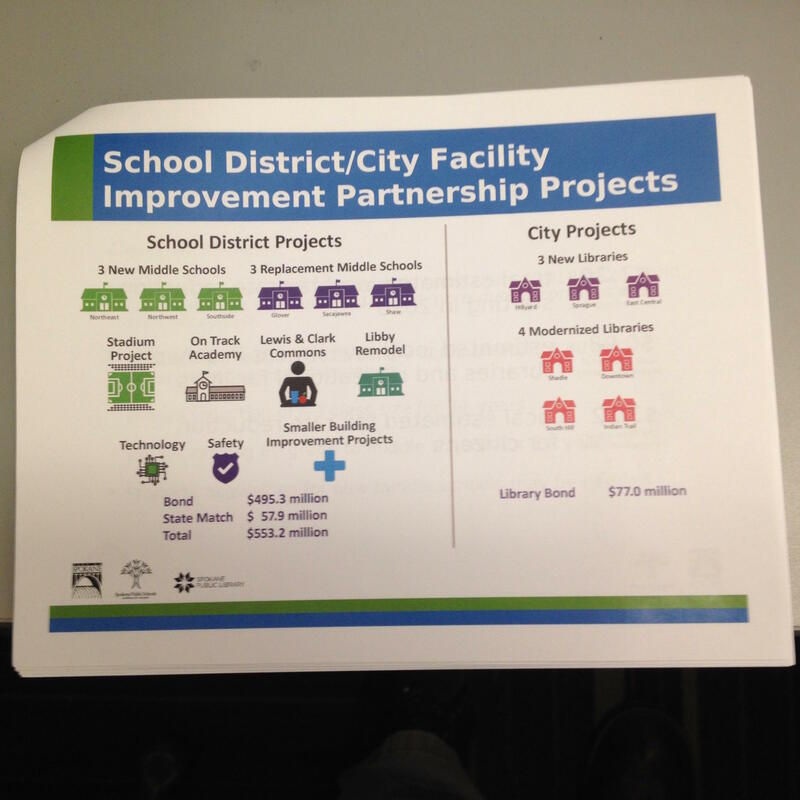 The majority of that — $495 million — is for new and renovated schools. The other $77 million would go for new and renovated libraries. We learn about both of those measures in this program. Doug Nadvornick speaks with with representatives from Spokane Public Schools: Dr. Shelley Redinger (Superintendent) and Dr. Mark Anderson (Associate Superintendent).